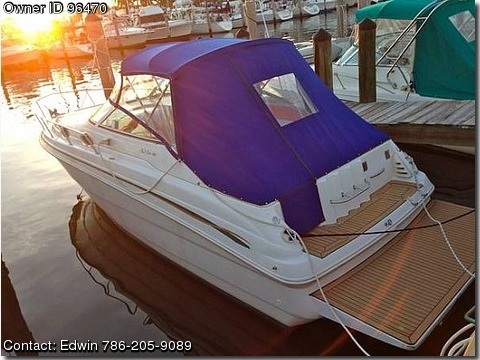 This an absolutely gorgeous family cruiser that has clearly been cherished since day one! Cosmetically she is a 10/10 for her age. I have done an incredible amount of maintenance, upgrades and repairs to keep this boat in such fantastic condition. More information on the work completed is in the photos. Led Lights under the boat and inside the boat. New Upholster in the cabin and cockpit. If you are looking for a turn key vessel that has been meticulously maintained that is friendly on the wallet then look no further! Please submit any and ALL offers – your offer may be accepted! Contact me at 786-205-9089 My name is Edwin.